Manchester United coach, Jose Mourinho says Germany will again a enjoy a strong World Cup run in Russia this summer, predicting they will progress to an intriguing semi-final clash against Lionel Messi’s Argentina, RT reports. RT exclusively reveals on Tuesday exactly how the Portuguese managerial great thinks the knockout stages will play out in Russia, all the way up to the final four. The Special One believes the Germans’ World Cup pedigree will see them cruise out of their group and then see off Switzerland in a predicted last 16 match-up. According to Mourinho’s powers of prediction, Joachim Low’s reigning champions will face Argentina in the last four in Russia – setting up a repeat of the final in Brazil four years ago, when Germany claimed a 1-0 extra-time win. 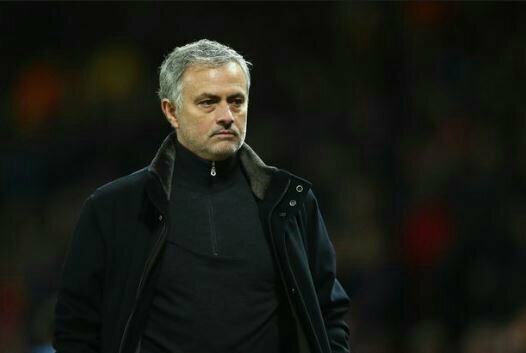 Mourinho believes their task will be equally as difficult this time around, facing “the little fellow” Lionel Messi and an Argentinian team laden with attacking threat. On the other side of the draw, Mourinho has forecast his native Portugal to make a run to the semi-finals in Russia, where he believes they will face five-time winners Brazil. You won’t need to wait for long to find out exactly how the Manchester United sees the tournament playing out in the grand finale. We’ll drop the next part of our Match Mourinho predictions playoff on Wednesday, when he will discuss the two semi-finals and final itself. If you think the Special One is spot on or that he should avoid predictions and stick to the management day job, let us know. You can post your own World Cup predictions at the bottom of the page or on RT Sport’s Facebook page. Keep an eye out for our #MatchMourinho hashtag on Twitter. 0 Response to "2018 World Cup: Jose Mourinho Predicts Four Teams To Qualify For Semi-Final"